2016 Wedding Dates Now Available! Mention this ad for a free platinum package upgrade! A NOTE FROM THE EDITOR VICTORY! DO YOU HEAR what we hear? We hear victory, loud and clear. 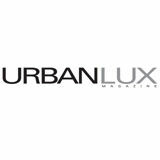 Rounding out 2014, the Urban Lux staff imagined that 2015 would be a year for the taking. Niecy Nash graced our January cover as we watched her in the groundbreaking civil rights movie, Selma. Directed by Ava DuVernay, we shared in the joy as she was the first AfricanAmerican female director nominated for a Golden Globe award. Meanwhile John Legend and Common snagged honors for best original song, Glory. again a prestigious ensemble of leaders who are making a difference in the areas of STYLE, CULTURE & COMMUNITY. show returned on September 23rd. Sales. They all take center stage in our final issue for 2015.
truth and dispelled the naysayers with grace, poise and good voice! win an Emmy for best actress in a drama. We know you heard it! We heard it. Didn’t you? As a freelance writer and editor, Amelia has a weakness for all things fitness and wellness. Her “spare” time is spent writing about a range of lifestyle topics for regional and national magazines, teaching everything from cycling to resistance training classes, and trying out the latest spa treatments and boutique fitness classes for her weekly blog. Learn more about her editorial and fitness experience at @fitbelleatl. 14	FIND YOUR INSPIRATION Wake Up! COOKING INSTRUCTIONS: 1 - Preheat oven to 325Â°F and butter two round cake pans. Coat pans with flour. 2 - In a large mixing bowl, prepare flax eggs by mixing flaxseed and water and let rest. towel and gently squeeze to remove about half of the juice. 4 - To the flax egg, add sugars, molasses, oil, vanilla, almond milk, grated apples, and whisk. appears too thick, add a bit more almond milk to thin and stir. 7 - Pour batter into prepared cake pans. 8 - Bake for about 30-35 minutes. Remove from oven and let cool completely. 9 - To prepare frosting, mix softened cream cheese and softened butter in a large mixing bowl. Whisk vigorously to combine and add powdered sugar in 1/2 cup increments until thick and spreadable. 10 - Add flour at the end to thicken (optional - or just more powdered sugar). 11 - Once the cake is completely cooled, add 1/3 of the frosting to the top of the bottom layer and spread into an even layer. Then add the top layer of cake and frost generously with remaining frosting, coating sides last. Add crushed pecans on the edges (optional), slice and serve. 12 - The cake should be stored covered in the fridge for optimal freshness, and should keep for 3-4 days. Move to the freezer after that, and thaw at room temp before serving. COOKING INSTRUCTIONS: For the Carrots: Preheat oven to 400째F. Place carrots in a large skillet and cover with cold water. Season gently with salt. Bring to a boil and cook until carrots are tender. Season cooked carrots with salt and pepper. Add thyme sprigs to pan, drizzle with 2 tablespoons olive oil, toss to coat, and transfer to oven. Roast, turning occasionally, until carrots are lightly caramelized, about 30 minutes. Remove from oven, discard thyme, and set aside. Reduce oven temperature to 350째F. For the Duxelles: Place mushrooms in a food processor. Pulse until finely chopped. Heat 3 tablespoons olive oil in a large skillet over high heat. Add mushrooms and cook, stirring occasionally, until mushrooms begin to brown, about 12 minutes. Add shallots and garlic and cook, tossing and stirring, about 1 minute. Add soy sauce and bourbon and cook about 2 minutes. Add bread crumbs and stir to combine. Transfer mixture to a bowl. in a large skillet over medium-high heat. followed by a second rimmed baking sheet. a 2-inch border all around. with cashews. Transfer sunflower seeds and pumpkin seeds to food processor and pulse until roughly chopped. Transfer bowl with bean/cashew mixture. Add remaining parsley, tarragon, chives, and chervil to mixture and fold together. Season generously with salt and pepper. a clean work surface and brush with olive oil. with maple syrup until thoroughly coated. rolling. Set the cigar-shaped roll aside. oil as you layer them. completely evaporated, about 30 minutes. processor and pulse until finely chopped. down with clean hands to form an even layer. beginning to get crunchy, about 35 minutes. Transfer mixture to food processor and set aside. Increase oven temperature to 425째F. 20 minutes. Season to taste. from heat. The syrup will continue to thicken as it cools. Preheat oven to 450째F. In a large mixing bowl, toss the Brussels sprouts with the 1/4 cup of olive oil. Spread evenly a sheet tray covered with aluminum foil. Sprinkle with salt and pepper to taste. Roast for 15 minutes, until some of the outer leaves start to blacken around the edges. Bite through one to test for tenderness and doneness. I like them quite tender. In a large mixing bowl, toss the roasted Brussels sprouts with the toasted walnuts. Place on a serving dish and drizzle with the pomegranate molasses, then sprinkle with pomegranate seeds and serve. ou know the rest of this age-old adage but the popular phrase, meaning that not everything that looks precious or true turns out to be so, couldn’t be further from reality this season! THERE IS A BOW WAVE of business opportunities presently upon us and they’re increasing in the energy and manufacturing industries. Historically (and currently), minority owned firms have remained almost invisible on the map in terms of bidding on and winning supplier contracts for those particular industries. The energy and manufacturing industries generate billions of dollars yearly and contract out millions of dollars to other businesses to assist with and complete projects. Existing business fortunate enough to snag these jobs range from large cap companies to small, mid and large cap suppliers. As the U.S. Congress considers lifting the oil export ban, a brand new emerging market of worldwide an industry leaders is poised to flood the U.S. These companies will ultimately trade, transport and/or produce these energy products and will need the of help of contracting suppliers to be successful—presenting thousands of bidding opportunities as they need to supplement their workforce needs. The question remains, if these opportunities are open for bidding by all companies, why are the minority owned firms overlooked or underemployed? Though there are many reasons, we will concentrate on the main culprits. LACK OF EXPOSURE On a regular basis the U.S. Department of Commerce, the Minority Business Development Agency, the Small Business Administration and the Department of Energy post Requests for Proposals (RFPs)— opening the gates for contractors to pitch their businesses and bid on the postings. Some hiring companies collaborate with these departments and send RFPs directly to them to implement workshops and conferences to assist with pairing them with a contractor based on compatibility. Many minority-owned firms are not thorough in their research efforts or are unaware of how to sign up to receive notices when these opportunities are made available. On a different note, some minority business owners are reluctant to attend informational sessions which would help them to establish relationships with the Diverse Supplier Managers, Directors and VPs that have the decision-making power when selecting bidders . Sometimes gaining access to this information and key-players includes fees to attend events—often deterring smaller business owners. If they considered these fees as an investment, this could be a professional way to gain an audience of their target market and plant seeds—establishing relationships in-person. Contract awards often boil down to existing relationships. Following up with a prospective client, knowing their business needs and keeping their representatives aware of your new certifications or services are some of the ways to nurture relationships. Stalwart suppliers know this and now you do too. LACK OF PREPARATION Being prepared to do business with these firms requires that you have your house in order. Not having business documents necessary to prove your legitimacy or tax and corporate structure can be impede you from successfully securing a contract. When striving to broker deals with the private sector, some things to have (in addition to those listed above) are a corporate banking account, business insurance and certifications with your company’s name listed—not just your name. The Small Business Administration offers a tutorial which provides step-by-step processes to meet the criteria for those who desire to do business with the government. You should find out if there is a prime contractor and necessity of subcontractors for an RFP. You should also research collaborative opportunities for an RFP. This means money will have to be split between firms, but it increases the credibility of both firms. It’s better to have a piece of the pie than no pie at all, right? The Minority Supplier Diversity Council (MSDC) can be of assistance when you’re legally registering your business as a minority-owned entity. If you’re a woman, the Women’s Business Enterprise (WBE) can get you on path to get that certification. Lastly, are you willing to adjust your business model and offering? Many supplier fields are saturated with firms fighting for the same pots of money. It’s public knowledge that there is a discouraging phenomenon of under-representation in diverse supplier business contract awards across many platform fields. Consider switching up or expanding your service and product models to become eligible to bid on a wider range of contracts. NOW IS THE TIME! You will need patience, research and diligence, but the rewards can be endless. Don’t allow another new opportunity to go to your competition without a fight. Position yourself on relevant avenues so that your business being overlooked is no longer an option. What are you waiting for? EVEN THOUGH she has the credentials to act like one and the vocal chords to rival living and posthumous legends, Deborah Cox is anything but a diva. The Canadian born singer made the United States her home when she was 19 years old, and has maintained it as such. While signed to the titan Arista label, she released her debut, self-titled album Deborah Cox and One Wish. Her songs were also picked up for soundtracks including the popular films, Money Talks and Dr. Doolittle 2. Early on, the reality hit that being a good songwriter is a gift and a curse—Deborah admits that she has experienced turmoil associated with writing songs that her label forced her to give to other artists. We are not talking B-side songs; we are talking about songs that contributed to essentially putting other artists on the proverbial map. Although Heather Headley made, “Always Been Your Girl” popular and early on in their career, we heard “Crazy Kind of Love” from Destiny’s Child—none other than the one and only Deborah Cox conceptualized and wrote the emotion-provoking lyrics. In an industry, that rots some people to the core— where people act as if they’ve arrived before they’ve displayed any real talent, this songbird has held her footing through industry fluff and is now stronger than ever. To most of the world, Deborah Cox is known as a songstress who burst onto the burgeoning American music scene in the 90s. Penning and performing songs like, “How Did You Get Here” and “We Can’t Be Friends”, this made her a household name and sealed the envelope of approval on her artistry. Because she had previous stage experience from high school (and through her younger days in plays like Oliver, The Wizard of Oz and Mama I Want to Sing) and was an established background vocalist and jingle singer, she was fearless. She moved to Los Angeles and hustled until what she wanted came to fruition. After months of being in the trenches doing session work, demos and everything musically in between, Arista records founder, Clive Davis signed her to a recording deal. That changed everything for the young, eager artist—her hustle began to pay off. would bring the right emotion, tambor, spirit and tone to the songs, and she was definitely up to the challenge. Citing that, “... preparation that meets opportunity makes things happen…,” she successfully executed the project—an accomplishment she holds dear to her heart. “To have been chosen to do it was an honor.” Even though not all of the late singer’s family agreed with the star’s depiction in the film, no one can deny that Deborah represented Whitney’s legacy in the best light. Back Down Memory Lane… Now at 41, she smiles thinking about her younger self. Remembering how driven she was, and being proud of that, she also recalls how unsure she was of herself in some critical situations. “I would tell the young Deborah to trust her instincts. Early in my career, I would rely so much on other people’s opinions. I stopped myself from doing things that felt right. I leaned so much on other people to validate me. I’ve learned over the years to rely on my own confidence, decision making and my own sixth sense.” Realizing that she was right all along, she no longer experiences angst about people liking her music. She puts out the type of music that feels good to her whether it’s on-trend or not. Comfortable with her craft, she doesn’t get involved with charts—especially since she’s traveled the world and is selling out shows, even without having a number one single. Today’s radio station programming is far removed from the organic, truly paying homage to real artists’, stations from the Motown days. She knows that because her music isn’t forced down people’s throats, new fans will keep discovering her—and all real artists prefer that. Now signed to Primary Wave, one of her latest releases, Work of Art (written by Babyface, Greg Phillinganes and Antonio Dixon) answers the real-time desires of her social media fans. The beautiful record was meant to exemplify the message that each human being is a work of art and to provoke people to see the positivity within them. A Little On Family... A busy woman indeed, the wife and mother of three chooses to live in the moment. Being in love with her husband since high school, she beams with pride that after all of these years that he is her friend and they are raising their son and two daughters with love and togetherness. “It’s a juggling act, but I do remember to take care of myself.” With a united front parenting approach, the couple focuses on raising their children to be confident and to love themselves. Deborah and her husband are both songwriters and he manages her career. They credit great communication and understanding as the key to their long-lasting marriage and business partnerships. 20 Years Down, Many More to Go… Since the release of one of her earlier records, “Who Do You Love”, she developed a massive LGBTQ following and became extremely popular in the gay/lesbian community. Wanting to reciprocate their love and support, she lent her star power to the stages at WorldPride in Toronto, London and elsewhere. Standing strong in the philosophy that being gay is not a flaw, she has no problem displaying public agreement with the U.S. Supreme Court decision to grant and make marriage legal across the nation. Adding to her schedule, Cox signed on to John S. Anastasi’s off-Broadway play, “Would You Still Love Me If?” opposite Kathleen Turner (acting credits include Romancing the Stone and Prizzi’s Honor). In the play, Kathleen plays the mother of a woman considering gender reassignment surgery and Deborah plays a doctor. With 20 years under her belt, by no stretch of the imagination is she’s done making goals. In fact, she’s planning for the next 20 years—with her heart set on dominating a Las Vegas stage, Tina Turner style by age 60! Deborah’s “Work of Art” album was released in August and can be purchased wherever music is sold. The stage play, Would You Still Love Me If? debuted with previews in September and officially opens on October 10th at New World Stages in New York. 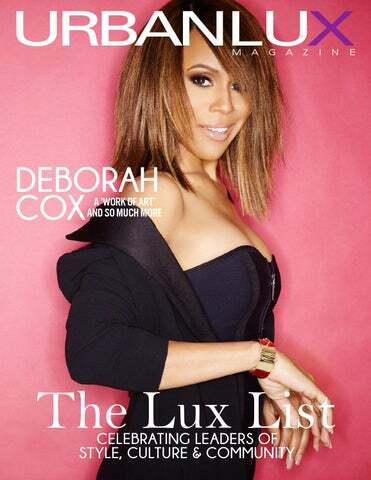 Follow Deborah on Twitter @Deborah_Cox and on Instagram @DeborahCox. preparing for an upscale event is one thing, but to creatively produce and execute these ideas is where most would much rather pass the baton. “Warren Huntley Presents, Inc.” is the ideal name for a business brand that so masterfully blends the two together incorporating both the founder’s expertise in artistic entertainment and the client’s overall vision for their planned event. Warren A. Huntley, Founder and CEO of Warren Huntley Presents, Inc., is an entertainment genius and well-versed in “creating lifestyles” that are sophisticated, chic and most importantly, unforgettable. When asked how Warren Huntley Presents (WHP) got started and what inspired it, Warren shares that prior to starting his own business, he had spent over 15 years in the entertainment and nightclub industries. After becoming displeased with the way the industry had become more business than it was an art, Warren felt it was the right time to branch off into his own. To date, WHP facilitates over eight hundred events annually. These events range from, but are not limited to weddings, grand openings, birthday parties, and galas. More than just your average event planning company, Warren and his staff specializes in “the art of all things entertaining” such as selecting the best venue, décor and lighting, providing transportation, custom floral arrangements, designating musicians, and more. THE VISIONARY Warren A. Huntley is a Brooklyn, New York native who grew up in North Carolina. Warren states that event planning is not only his passion, but it is also his lifestyle. He goes on to say that in order to effectively carry out this type of work, “you must be experienced with the lifestyle that you are presenting” and he states, “I look at every event that I create as if I’m entertaining myself”. One could gather that this state of mind pre-event is one of the key ingredients toward leaving an impact on the client that will “WOW” them. Hence, WHP’s most-fitting tagline, “Experiencing the Art of WOW!” The gift of bringig to life the vision of his clients in a way that is engaging and classy, is what Warren prides himself on along with the impeccable skill and collaboration of his staff. The success of his company can be attributed to several factors including constant prayer and consistency. Warren admits that he has always been extremely detail-oriented with a deep appreciation for “clean lines” and things that are “sophisticated and pristine”. Anyone who knows him personally or has been a guest in his home could certainly attest to this as Warren is also an avid art collector of original paintings, signed prints, and sculptures. PERSONAL STYLE One of the style icons that Warren makes mention of when describing his own personal style is that of James Dean. “My style is very contrary, simple and sophisticated”, he explains. He describes his style as “old-school, but chic.” In addition to being an avid art connoisseur, he has also been a heavy collector of classic timepieces since the early age of fifteen and currently has approximately three hundred pieces in his collection. Again, this is another aspect of the total Warren A. Huntley package that we see trending through his creative business aesthetic. NEW VENTURES With his hands involved in so many events throughout the course of the year, it seems virtually impossible to have room for anything else. However, with over 25 years of experience in his field, Warren informed that he has “returned to his roots” to the nightclub industry. As of just a few months back, he has collaborated with an exceptional managerial team for the grand opening of the classy St. James Live Jazz Supper Club in South Atlanta, which features great food, beverages, stellar service and LIVE jazz artists. Warren A. Huntley is also an established writer, lecturer, instructor and gentlemen indeed worthy of honor and special recognition. For setting a standard in high-end entertainment, event production and design and for creating life-long memories that will be spoken of for generations to come, we honor you and eagerly anticipate more “WOWS” in the days to come. incorporating their names and designs into the braiding upon request. As time progressed, he decided to professionally cultivate his gift of hair styling and enroll at an Empire Beauty School where his mother was an instructor. Thompson was later licensed as an instructor and relocated to Atlanta GA, where he further developed his craft, while subsequently launching his own salon, The Modern Classic in June of 2014. INDIVIDUAL STYLE: Brandon describes his style as “modern classic” which explains the vision behind his salon brand. He feels it best describes his personal style, hair styling, interior design, and lifestyle as a whole. His aesthetic typically gravitates more toward classic-timeless pieces such as oxford shirts, blazers, jeans, etc., but with a contemporary edge and play on accessories such as layered bracelets, hats, head wraps, and distinct shoe styles. As an avid shopper and connoisseur of fine garments, Brandon is unashamed to say, that fashion is a big part of who he has become. Beyond the outer, he shares that what people mostly admire about him is his ability to relate to his clients and that he very purely cares about their welfare altogether. INSPIRATION & SUCCESS: Brandon attributes his success to the leadership and examples of hard work, set by his mother and father, who helped him believe in himself. Thompson states that his mother always encouraged him to do his absolute best at whatever he chose to do in life and has cheered him along the way. As a result, this has sparked a level of confidence, which compels him to keep building his brand and effectively manage the salon. In addition, the salon itself is elegantly postured in a private classy space at The Meridian Hotel in Buckhead, Atlanta where he and his intern tirelessly work their creative art! Brandon, though endowed with great talents beyond just hair, says that his main priority is to continue to solidify the business and to give it the time needed to blossom from the inside out. To learn more about Brandon L Thompson and his artistry, please visit: themodernclassicsalon.com. rom the moment she steps on stage you can feel her love and the absolute return of love from her audience—even before she sings one single note. Denise Nicole White, professionally known as Avery Sunshine, is a singer, a songwriter, a pianist and a mother. Avery knew from a young age that she was meant to perform. She remembers, “at six or seven I saw a classmate playing the piano and I told my mother that I wanted to do that. It was clear to me that was what I wanted to do.” By 13, Avery had earned a gig as choir director at the Immaculate Heart of Mary Catholic Church. Her other big dream of being a corporate lawyer moved further from sight when she realized music was tugging harder at her heart— she was a piano major at Spelman College. Truly a believer in destiny, Avery feels wholeheartedly that our steps have been planned and mapped out by God but, “I was completely unaware of that map. There was this unspoken kind of movement that was happening in my life.” Things just began to fall into place and into her lap. First a phone call from Jennifer Holliday asking her to perform and then an appearance in the movie and a song on the soundtrack of “The Fighting Temptations.” A conversation with a friend lead to Avery hitting the road, with keyboard in tow, to tour with Tyler Perry’s hit stage play “Meet The Browns.” Never second guessing her blessings, Avery confesses to writing down a list of wants and desires but says that she is very careful to, “yield to what the universe has for me because it hasn’t’ failed me yet.” As an independent artist, she has the luxury of doing things her way without the pressures of a major label. And although the industry may dictate that a mainstream artist must make music that radio stations will play, Avery believes in making music that feels good to her. will be no grass growing under these feet!” I believe her. Learn more about Avery*Sunshine, her music, performances and tour dates at averysunshine.com. box, he learned about transformation. He had been studying African art and decided to create a spirit box as a tribute to his mother. For years, the story of her murder by his father went unspoken by Pecou and his three siblings. Fortunately, the act of transforming the box encouraged him to discuss his past and set him on a journey to change his future. Pecou’s first exhibit “Life After Death” centered on his mother’s death. The show affected attendees in different ways. Some cried, some sat in the middle of the art installation; others complimented Pecou for how he was able to deal with his struggles. Though the first show was emotional, Pecou liked the reaction from the crowd. “I wanted to do something that meant something. Make connections and resonate with the audience.” Pecou, knew that he didn’t want to simply make art that was just pretty, but art that would evoke inspiration and challenge the viewer Success and recognition quickly followed, but at times people missed the deeper message in Pecou’s art. The exhibit “Stunt’d Like My Daddy” challenged the idea of Black Masculinity and the perception of the white gaze. He used images of his actual body in the series. In one piece, he holds a strategically placed picket sign that reads, “More than (the sum of) some of his parts.” Pecou understands the difference between hype and meaningful content. He recognizes that the body of the Black male is often dissected into parts. Athletes, entertainer, and laborers are often the symbols of Black masculinity. Pecou’s works combine observations on hip-hop, fine art, and popular culture. He thrives on the notion of collaboration, rigor, and the questions that occurs in an academic setting. Fahamu Pecou is currently a Ph.D. student in Emory University’s Institute of Liberal Arts (ILA). His work is featured in national and international collections such as the Smithsonian National Museum of African American Art and Culture, Societe Generale in Paris, Nasher Museum at Duke University, The High Museum of Art, Museum of Contemporary Art Georgia, and many others. Pecou is the curator of “ELEVATE 2015,” an Atlanta based project from the Mayor’s Office of Cultural Affairs. The theme is “Forever I Love Atl (F.I.L.A. )” with art projects going on display in central downtown Atlanta this fall. It might be easy to overlook the journey and trials that Fahamu Pecou has experienced to get to where he is today. His struggles are evident in his art, but the result of those struggles is overwhelmingly positive. He wants his work to be used as a tool for his son and other young black men. Pecou will continue to shape contemporary representations of Black masculinity just as he shaped that spirit box years ago. There will be more conversations because of his art. This is how he intends to impact the future. During his twelve successful seasons in the NFL, he was Rookie of the Year and a three-time Pro Bowl selection. The Tampa Bay Buccaneers and the Atlanta Falcons benefited from his skills on the playing field, but Dunn was far from finished when he scored his final touchdown. football player, and all-around good person. But Dunn continues to use his notoriety for the benefit of not-for-profit and philanthropic work. The most well known, “Homes for the Holidays”, was created during Dunn’s first season in the NFL. Smothers, a Baton Rouge police officer, and single-mother of six. While working a second job as a security guard, she was killed in the line of duty, never achieving her dream of owning her own home. So now, Dunn helps make her dream a reality for other single parents. After his mother’s death, the city of Baton Rouge stepped in to support his family. The generosity made an impact and solidified the lessons his mother and grandmother instilled in him. “My grandmother would just open her heart to people,” Dunn says. “She didn’t have a lot, but she would give.” When asked why he gives back, Dunn hesitates because there is a choice. Giving is an instinct. “It is not about the money. It’s about doing the small things. Saying hello. Recognizing someone. Taking a couple minutes to look at someone directly in the eye.” Dunn has put smiles on faces and roofs over heads but his vision is deeper. His greater hope is that families will learn how to manage personal finances, become more educated and understand the importance of maintaining health and wellness. His overall dream is to help teach families how to find and expand their dreams. In fact, his Home for the Holidays program doesn’t build the house at all, but works with other organizations that already build and furnish homes. Dunn has further dreams too—he’d like to offer nutritional education, grief support and show families how to navigate other resources to become entrenched in their neighborhoods and larger communities. As much as he encourages education, Dunn is also an avid student. He chose to return to the classroom and earned an MBA from Emory University’s Goizueta Business School. Going back to school wasn’t easy. “It was like being in a dark room where very slowly the lights turned on,” says Dunn, “You can’t be afraid to ask for help or learn on the job.” The same discipline and perseverance Dunn used on the playing field has helped in the boardroom as a limited partner of the Atlanta Falcons, under the leadership of Arthur Blank. And Dunn is still learning. “Our goal is to impact communities with long term solutions that are sustainable—and that takes money. Donations are appreciated and the best thing you can do is talk about what we are doing. Word-of-mouth is compelling and it helps people learn about our organization.” Warrick Dunn feels at “home” in Baton Rouge, Tallahassee, Tampa and he resides in Atlanta. But his heart? Well that’s anywhere people need a helping hand. To learn more about Warrick Dunn Charities please visit wdc.org. t was toes down and heels up throughout the performing arts center and athletic facility on the campus of Atlanta’s Drew Charter School. Inside, young, mostly African-American youth between the ages of eleven and fourteen are in harmony, gracefully gliding across wooden floors in fourth and fifth position; their reflections ricocheting off the mirrored walls projecting images of their meticulous, yet, at times, timid young souls – all participants in Atlanta Ballet’s AileyCamp. Facing a potential loss of funding and the imminent closure of the “AileyCamp”, instructor Diane Sales chose not to give in, and her prayers would eventually be answered with the help of a major grant from The Arthur M. Blank Family Foundation. It allowed the “AileyCamp” to continue its operation. It was famed choreographer, activist, and legendary dancer, Alvin Ailey who founded “AileyCamp” in 1989. Ailey’s goal was to provide inner-city youth with an environment for developing creative expression, discipline, and critical thinking skills. Atlanta would become the first city in the South to play host to the camp. The camp has been in existence for almost nine years. However, after several successful years of operation, the program almost came to an abrupt halt when it lost its funding along with one of its major sponsors. The world-renowned ballerina and dance instructor would have to revert to the unwavering perseverance and strong will she developed at age ten when she first became infatuated with dancing after watching Russian dancer Natalia Makarova on her family’s black and white TV in her native Brooklyn, NY. “This is the first time that some of them are dancing, putting tights and leotards on and being exposed to something different,” said Diane Sales, the director of the six week summer program. “My position is to give them ownership of their life. To stand behind them so that they know there are so many possibilities. And, if they take advantage of what’s around them, they’re going to be successful.” It is a message Sales is hoping the aspiring dancers will inherit once they have completed the camp. The students, both boys and girls, all come from under-served communities. However, you would not know it by their carefully manicured haircuts and tightly pulled back ponytails with black leotards - for the girls - along with their signature satin pointe shoes. It’s as if all of the campers’ cares and worries somehow dissipate when the soothing sounds of classical piano chords collide with the formation and cadence specifically designed and tailored for both the danseur and danseuses. “They learn so much about themselves and personal development,” said Sales. “They’re building their self-esteem and self-confidence and critical thinking skills – such a range of growth.” More than one hundred “Ailey Camp” participants are spread out across the center, some in the auditorium, and others in the school’s gymnasium learning technique, form, and style from a group of dance instructors under the leadership of Sales. “There were times when I was told that I wasn’t going to be successful as a ballet dancer,” said Sales, who would eventually attend the Joffrey Ballet School in Chicago IL, and later begin her professional career with Ailey II performing across the world in places like Italy, Syria, Africa and nearly all fifty states here in the U.S.
asty temptations like bone marrow and short rib slathered on crispy toast and covered with a runny quail egg. An in-room fitness program designed by celebrity trainer Erin Oprea. Whether you’re looking to be a sinner or an angel in Nashville, the Loews Vanderbilt Hotel has you covered. About a three-and-a-half-hour drive from Atlanta, Nashville is an easy option for a long fall weekend — particularly as the fall leaves surrounding the highway reflects a myriad of beautiful colors as you wind through the mountains. As the name implies, the Loews Vanderbilt is situated across from the Vanderbilt University campus. Yes, guests of the hotel get the added bonus of experiencing the charm and perks of a college campus atmosphere (whether that means enjoying a gorgeous place to go for a soothing fall walk — or being surrounded with bars & grills where you can find a cheap drink and reasonably priced meals), all in the heart of a southern city with fine dining and an electrified nightlife. And, just a quick one-mile drive or Uber ride away you will find the famed “Music Row” that Nashville is known for. Here are just a few reasons why this destination and the Loews Vanderbilt should be on your list of travel ventures for this fall’s getaways! Sleep. The property has undergone $20 million in renovations since 2013 and offers up 340 rooms (including nine suites). Elegant notes of Nashville can be experienced and admired throughout the décor. And in true Loews fashion, you’ll enjoy amenities like complimentary Wi-Fi in every room, iPod docking stations, fully stocked mini bars, Comfort Zone toiletries, Egyptian cotton sheets, and wake-up calls recorded by Nashville music royalty such as Vince Gill, Amy Grant, and other notable artists. On The Move. On a cool fall morning, there’s nothing better than getting up and heading for a run on Vanderbilt’s lush campus. However, if the chill in the air is too much, the Loews Vanderbilt offers a fitness center that is fully stocked with the cardio and resistance training equipment you need for a calorie-killing workout. Or, take advantage of the in-room Balance by Erin Oprea fitness program. Just pick up the phone, and your equipment (yoga mat, exercise ball and resistance tube) will be delivered to your door in minutes along with step-by-step instructions for an exercise program developed by Operea, who trains celebrities like Carrie Underwood and other well-known artists. Dining. Enjoy the short rib and bone marrow to the fried green tomato, egg, and bacon Black Keys breakfast wrap from Mason’s, the hotel’s go-to for every meal — including brunch on weekends. Mason’s serves up a Southern-inspired menu with a kick of Appalachian and European influence In addition, the Balance by Erin Oprea program also extends to Mason’s with a menu that follows a rigid set of nutritional guidelines, which ensures that each dish is low in sugar and sodium, high in protein, and includes healthy fats. For example, you’ll find a Persian breakfast frittata with shaved asparagus, dried cherries, and chickpea mash, and blackberry peach pie crepes with skim milk ricotta and pistachio granola. Other guest favorites include the ancho-spiced pork chop with smoked Sea Island pea charros and mango jicama slaw. Another favorite is the East Nashville “Hipster” biscuit with cage-free eggs and smoked bacon, and for those, who occasionally crave a succulent steak every now and then will be pleased to find that there is a Ruth’s Chris Steak House housed in the hotel as well.). Of course, there is also a full room service menu, in case you love your room so much you don’t want to leave. But, before you head to bed, wrap up your evening with a drink at Mason’s Bar — the Mason’s Julep is not to be missed. It is the perfect spot to end your day. Visit loewshotels.com/vanderbilt-hotel for more information. A Dining Gem Down the Street: 1808 Grille Chicken fried lobster, fried Brussel sprouts, and a 10-ounce New York strip served up with chimichurri sauce — these are just a few of the tastes you’ll be treated to during dinner at 1808 Grille. The eat spot, tucked away in the Hutton Hotel, is only a few blocks away from the Loews and is open for all meals and weekend brunch. Headed there for dinner? Start with the compressed watermelon and work your way up to the fried whole bronzino. Oh, and don’t forget about dessert. Whether you’re in the mood for black forest cake or honey thyme crème brulee, 1808 has a sweet to ensure that everyone leaves this resto on a happy note. “WITH GREAT POWER COMES GREAT RESPONSIBILITY.” This historical quote unequivocally describes this year’s LUX power couples. Names: Xavier Peoples + Nicole Peoples Ages: 33 + 34 Occupations: Managing Partner of M Bar + Internal Medicine/ Integrative Medicine Doctor/ Dekalb Medical What Makes You a Power Couple? Our shared love of service and teaching our children the importance of giving back alongside our professions make us a ‘power couple’. As a couple we strive to make the world a better place. How do you use your power for the good of others? As a family, we dedicate ourselves to philanthropy so that our children will understand that being blessed means you’re able to bless others. We feed the homeless, mentor youth and volunteer locally with the YMCA. We don’t just say it for “talking points”, recently, M Bar was given a proclamation from the City of Atlanta because of the commitment we’ve made to employing African-American men, particularly those who have felony records. Names: George Ross + Christian Ross Ages: 42 + 34 Occupations: IT Director + SVP/ Managing Broker, Village Realty What Makes You a Power Couple? We are successful but that does not define us. We fuel each other. We lift each other up, support each other’s dreams and goals and put our love and friendship before anything else. In addition to giving to each other, we are focused on the everyday ways we can make lives better for those around us whether it is from a community or professional perspective. How do you use your power for the good of others? George mentors young AfricanAmerican men looking to transition into IT and Christian mentors younger real estate professionals and serves on committees at the Atlanta Board of Realtors. Beginning in 2016, Christain will begin a 3-year term on their Board of Directors. Names: Carlton Godby + Erica Godbey Ages: 39 + 41 Occupations: Fitness Instructors and Gym Owners, I Like It Fit What Makes You a Power Couple? We are not only in love but the way we relate to each other within relationship also demonstrates positive examples of love to others in a Godly manner. How do you use your power for the good of others? We use our influence as fitness instructors to counsel, encourage and equip other couples on the importance of their physical, mental and emotional state of being. We have discovered that the more love we give to others, the more our relationship is enhanced. We practice being open and transparent with each other. In the near future we hope to create additional practical ways to share what has worked for us in our relationship. too busy to run out for food? trying tolose weight? tired of costly fast food? t’s a proven fact that staying hydrated is an integral part of maintaining a healthy lifestyle. growth of cancer killing the cancer cells altogether. Cancer cells cannot thrive in an alkaline environment, thus the theory of increasing the body’s pH leads supports reports that alkaline water is in fact beneficial. Ionized (alkaline) water has the ability to rid the body of excessive waste products. This characteristic is helpful, even for individuals who are not battling cancer. Water molecules in the body do not float around individually, they exist in clusters. These high pH clusters are significantly smaller than normal water clusters and because of their reduced size, water can penetrate more places within the body—providing additional, internal therapy for cancer patients. Adding to the—list of prospective health benefits, alkaline water has been noted to reverse dry skin, poor hydration, and exhaustion. Many have even reported losing unwanted weight after introducing the popular water into their diet. A recent health study reports that people who regularly drank alkaline water lost an average of 12 pounds over a two month period. I agree that alkaline water shows promise in providing health benefits to the body, however more professional medical research over a longer period of time is needed. Consult with your doctor or a certified healthcare professional to for more information on how alkaline water could be beneficial to you.